Been applying for jobs but not getting any interviews? Chances are it’s because your CV is not really doing its job! After all, the purpose of a CV is to sell you to an employer and ensure that they are so impressed that they want to meet you in person. If that’s not happening, it’s time to do something about it. 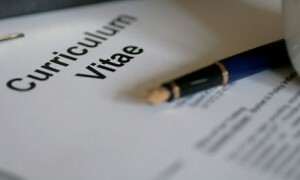 We’ve put together some basic tips on improving your CV that should hopefully help. Many candidates spend a long time creating the content for their CV yet let themselves down by poor spelling and grammar. Even one little mistake or typo can be enough to put an employer off. It simply shows the employer that you have poor attention to detail. In the first instance you should always use a spell check function. It’s important to remember though that not everything will get picked up with this. If possible, get someone else to have a look at your CV too and make any amendments. A fresh pair of eyes can sometimes make all the difference! If you have crafted a pretty generic CV and you use it for every job you apply for, that may be the reason why you are not getting any interviews. 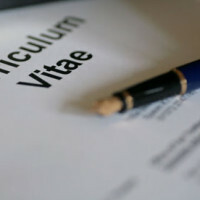 Always update or modify your CV to suit the position you are applying for. Use the job advertisement or job spec and ensure that your CV reflects how you possess the skills and experience which the employer is seeking. Sometimes a little tweak here and there is all it will take. If your CV is full of bland and unnecessary content you are doing yourself a real disservice. You only have 2 pages so everything on those pages should be relevant, concise and serving a purpose. Forget the lengthy paragraphs and use bullet points instead. An employer or a recruiter will not want to wade through long bodies of text in order to assess your suitability for a role. They’ll want the relevant info to be clearly apparent. After all, they’ll be forming their opinion of your CV in a matter of seconds! Remove the waffle and make sure that their opinion is a good one! Remember that many candidates will have similar qualifications and experience to you. An employer therefore will be looking for a CV that stands out. In order to ensure yours does just that, you ought to use your CV to distinguish yourself as a candidate. Outline particular achievements and accomplishments which you have had – whether they be academic or within the workplace. Do all you can to ensure that you highlight your successes as these will in turn help to provide tangible proof to an employer of your worth as a candidate and value as a potential employee. We hope that these basic tips on improving your CV have helped. Got any others you’d like to share? Why not let us know via the comments section below?